David Miscavige Does Not Know the PI With the Gun and Silencer! – OTVIIIisGrrr8! 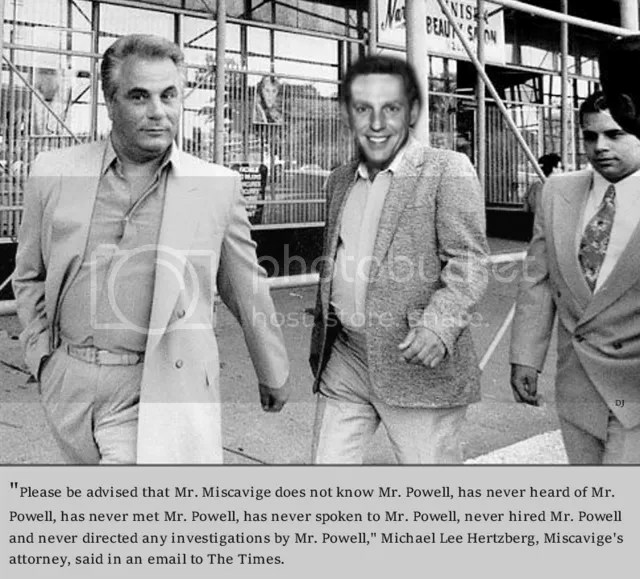 David Miscavige Does Not Know the PI With the Gun and Silencer! Link to LA Times Exclusive! COB: Wadda yagot for me? PI: Ahh, ya’s pops. He’s dyin out heres in a parking lot. Whad does I do? Calls fer help? COB: Now waida minute pal! I’m real reeeligious sees. An bein’ as I’m so eeeclee-see-assticul and all, well I don’t wanna interfeer wit God if its what God wants to, yah know… just let God do whadever. We aint gonna interfee with nature and the angels and God or whatever the sitchu-achin is there. Capiche? COB: SO GO GETTA CUPPA COFFEE!!! Freedom Magazine Special Report on COB RTC David Miscavige. This is why we subscribe to the RTC Times. It is hardly news that COB spends untold millions of dollars of parishioner money to keep tabs on the millions of SP’s intent on doing harm to the church. This has already been documented. But for God’s sake man, what else is he to do when the fate of every man, woman, and child of this prison planet is at stake? What would you do – just ignore the SP’s? The salient point people is this: COB did not know this particular private eye!! Obviously, this private eye caught spying on COB’s father was hired by the SMERSH/Psych Industrial complex to obtain DNA and/or other information helpful in their campaign of obstructing COB’s plan to clear the planet. I wouldn’t be surprised if COB actually tipped off the police to his presence. Let’s put this whole story in perspective. The Church of Scientology does not spend money willy-nilly. When a certain ecclesiastical leader’s relative unexpectedly left an unidentified ultra-secure compound, he may or may not have left with one or more two ounce bottles of Blue Juice Valve Oil (the professional musician’s #1 choice in valve oil). This is not the behavior of the most ethical people on the planet. The retail value of the said oil is $6.99 (USD). If every church member left and took with them a small piece of church property, a loss of $70 million could accrue. Spending a mere $10,000 per week to protect millions in church assets is fiscal good sense. Along with being the most ethical people on the planet, Scientologists are also some of the most courteous. Noise pollution is a root cause of numerous engrams and a silencer reduces that and makes the planet that much closer to clear. Mr. Powell is just a psych-funded plant given the objective to destroy the unblemished and good reputation of Scientology. A clear sign the enemy is in panic!